We write on behalf of the Middle East Studies Association of North America (MESA) and its Committee on Academic Freedom to express our grave concern about the campaign of harassment being waged against Simona Sharoni, professor of Gender and Women’s Studies at SUNY Plattsburgh and a member of MESA, which threatens her safety and well-being as well as her free speech and academic freedom rights. This campaign, which now includes a request under New York State’s Freedom of Information Law (FOIL) that SUNY Plattsburgh make available records relating to Professor Sharoni’s hiring, employment and academic activities, appears intended to intimidate and ultimately silence her because of her public support of the Boycott, Divestment and Sanctions (BDS) movement. We call upon the university to exercise its responsibility to protect Professor Sharoni’s right of free speech and to defend her academic freedom. Following an interview conducted on March 5, 2016, in which Professor Sharoni expressed her support of the BDS movement, an inflammatory campaign of tweets and email messages was launched against her, including threats to her physical safety. 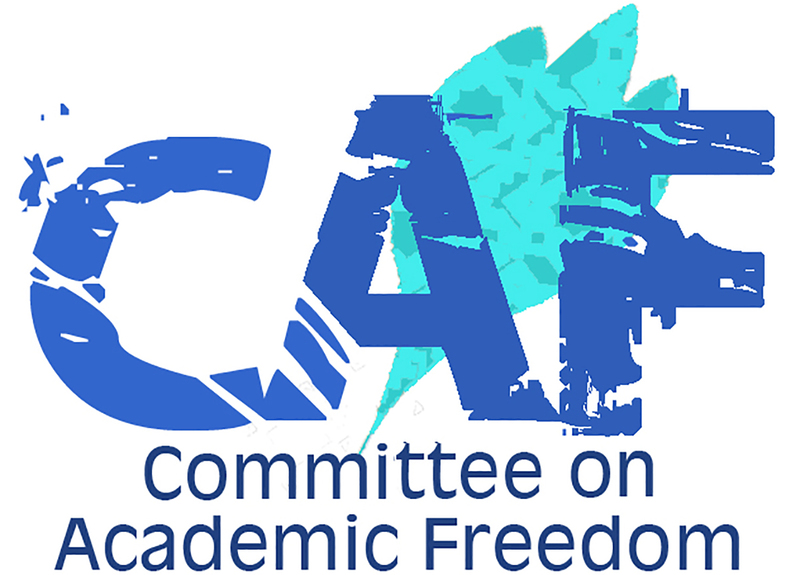 On April 28, 2016, Professor Sharoni contacted a number of university leaders, including SUNY Plattsburgh’s president and provost, the dean of the Faculty of Arts and Sciences, the chair of the Faculty Senate and officers of the faculty union to inform them about these threats and to ask that the university publicly affirm its commitment to academic freedom and to the protection of the safety and well-being of all its students and employees. According to Professor Sharoni, she has not received any official response from university administrators. On September 6, 2016, Professor Sharoni received an email message from Sean Brian Dermody, Assistant to the Vice President for Administration and Director of Management Services at SUNY Plattsburgh, informing her that an individual had made a series of FOIL requests for records pertaining to her hiring and continued employment at SUNY Plattsburgh, and her participation in academic conferences. Mr. Dermody informed Professor Sharoni that he was reviewing the FOIL requests, and asked her to locate the requested records and be prepared to turn them over to him. Another email message from Mr. Dermody dated the following day asked Professor Sharoni to turn over all correspondence in her possession related to her being hired at SUNY Plattsburgh. It appears to us that these FOIL requests are part of the continuing campaign to harass and intimidate Professor Sharoni because she has expressed certain political views. MESA has no official position on the BDS movement or its demands; we believe that everyone should be free to advocate for or against BDS as they see fit, and more broadly to express their views on the Israeli-Palestinian conflict as on any other issue of public concern without fear of harassment, intimidation or sanction. We also believe that SUNY Plattsburgh has a clear responsibility to defend Professor Sharoni and all of its other employees from threat and intimidation, in keeping with the constitutionally protected right of free speech and with the principles of academic freedom. We therefore call upon university officials to exercise extreme caution and responsible judgment in reviewing and approving FOIL requests for records pertaining to Professor Sharoni, so as not to be complicit in furthering the campaign of harassment being waged against her. We also call on SUNY Plattsburgh’s leadership to publicly and vigorously affirm its commitment to the principles of free speech and academic freedom as well as its intention to defend Professor Sharoni and other faculty members against harassment and threats by politically motivated individuals and groups based outside the university community.